We started this newsletter in April, 2011. Since then, we’ve provided five content areas from Washington State health policy that we think are worth your time each month. In 2014, with the support of funding from OneHealthPort, we extended our newsletter to twice a month. In March, 2015, we missed an edition due to the arrival of my daughter. So, we don’t do this very often – in fact, we’ve never done this – but I wanted to spend this edition telling you a little bit about what we’re up to. We’re stretching at State of Reform, trying to create spaces where smart policy conversations can take place. So, we wanted to tell you a little bit about what we’re up to in this edition of 5 Thigns. Thanks for indulging us a bit. 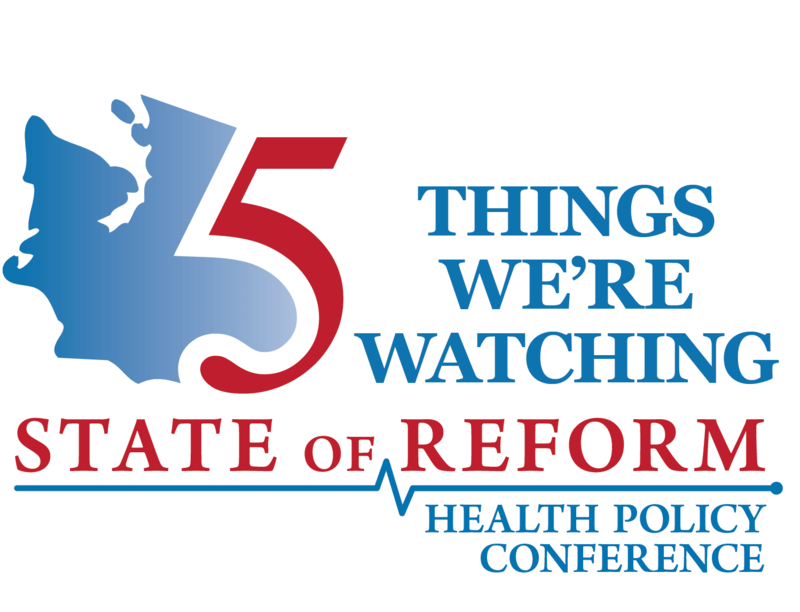 This week, we posted the Topical Agenda for the 2019 Washington State of Reform Health Policy Conference. It’s a big one with 27 break out sessions teed up for January 10th. We’re also planning to try a few new things with our keynote plenary sessions this year as well. We’ll tell you about those in a few weeks. So, we’d love to have you register to be with us if you can make it. The support from your participation in our events is what allows us to provide our reporting and analysis on Washington State health care and health policy. So, thank you in advance to the 700 of you that we expect will be with us in January! When we launched our first State of Reform event in 2011, we thought it was important to be in Sea-Tac to help draw from as broad a swath of Washington State health policy as possible. But, over the years, we simply outgrew the space. Parking at the Sea-Tac Hilton was tough. The rooms were standing room only. And, we ended up with a waiting list every year. This is a big step for us – more costs, more logistics, etc. But, because of really strong sponsorship this year from our partners, we are able to keep our registration prices steady and unchanged at the same rate for the third year in row – something else we’re really proud of! Last year, we launched a set of Pre-Conference Sessions for the first time. We held three “deep dive” discussions on topics voted on by our readers. We’re doing the same again this year. Folks can vote by signing up for the topic of their choice. We’ll refund or reassign registration for any of the sessions which don’t move forward. You can see the list of sessions at the registration page. Afterward, we have a really great Networking Reception – something else you told us you wanted more of. Last year, we had about 100 folks in the Pre-Conference Sessions, and 150 join us for the Networking Reception. If you join the Pre-Conference Sessions, you are automatically registered to be with us for the Networking Reception. So, you should consider signing up for those Jan. 9th events! The team over at our sister site, The Washington State Wire, worked overtime on election night, reporting from Federal Way, Bellevue, and Lynnwood. We wanted to feature some of the strong work our team produced evaluating the results, trends, and energy of the night. In this great piece, Sara Gentzler reported on what it was like inside the two camps for state senate in the 30th LD. Emily Boerger reported on on the details of the statewide initiatives where the voting maps tell an important story: winning King County isn’t enough to win Washington State. And here, I outline three observations from the results that we think are worth highlighting. It’s a minor change at StateofReform.com and you might not even see it. But, it’s a big deal for us. Last week, we moved our site to an edition model. This way, we can aggregate the states we cover into an even more localized experience for you. You can see the edition you’re in above the “Latest News” tab. Washington will be in our West Coast edition, along with California, Washington, Alaska and Hawaii. Our Southwest edition will now have Texas, Colorado, Arizona and Utah. So, for Washington State health care leaders, what this means is that Texas content won’t be as readily available as it has been for the last year. So, your “Latest News” feed will feature only the stories from the West Coast edition, and the sub-navigation will only list the 5 west coast states. You can always change your edition by toggling the edition at the blue bar on the top right.